The iPhone X was introduced at an Apple event in September 2017. This flagship handset went on sale on November 3, 2017. iPhone X was released after the iPhone 8 line-up. After the launch of iPhone XS, XS Max, and XR, Apple discontinued the production of iPhone X. Despite being one of the best iPhones from Apple, iPhone X has some genuine problems as well. Let’s take a look at some of the top iPhone X bugs. Many iPhone X users complaint about the camera lens issue. Some others criticized the unresponsiveness of iPhone X screen along with the Face ID security, green line, and buzzing speakers issue. Let’s take a brief look at these issues, who knows you might be experiencing any of these glitches. It is experienced by many iPhone X users that sometimes its screen stops responding to a user’s touch. Apple also confirmed this bug. In the early days of iPhone X, some users had found that the touchscreen becomes unresponsive in cold weather. Though Apple did release the updated iOS 11 version to tackle the issue, this was an issue after all which annoyed most of the fans. Few users noticed that iPhone X’s camera lens is easy to crack. Though its camera lens is made up of very hard Sapphire glass, the reasons for cracking camera lens are still unknown. Moreover, Apple refused to offer replacements under warranty, and as a result, many iPhone X users had to sell their iPhones. Some fans also complain about the overheating issue in iPhone X. If your iPhone X is refusing to recognize you using Face ID then it’s time to replace your iPhone X. The iPhone has a Face ID failure issue as well. If you are one of the unfortunate ones whose iPhones are having issues then the obvious question that would come into your mind is what to do with a problematic iPhone X. One possible and quite appropriate answer to this question is to replace your problematic iPhone with a new one. And to get a brand new smartphone, you can sell your old iPhone X. These days, mobile phone technology is rapidly changing and many smartphone users are constantly replacing their old phones with new ones. So, if you have a ‘problematic iPhone’ and don’t have any idea what to do with it then keep in mind that it is never a good idea to throw such phones. If you throw them, the phones will become electronic waste and will harm our environment. So, whenever you decide to get rid of your phone, it is best to sell it. You can even recycle your phone by selling it online through an online mobile phone recycling comparison website. What is a mobile phone recycling comparison website? A mobile phone recycling comparison website guarantees to provide you with top-rated recycling companies. Through the portal of the comparison website, you can search your mobile phone, compare its prices and sell it for the best deal. When you search your mobile phone, the website shows you a list of trusted and reputable recycling firms. These firms are willing to pay you for your mobile phone. Ok, you have a problematic iPhone X with two possible solutions. One is to throw it and the second is to sell it. We suggest to go with the second option and sell iPhone X. And the best place to sell or recycle your iPhone X is SellTheMobile. If you are looking for a perfect mobile phone recycling comparison website then SellTheMobile would be your best bet. All you have to do is to visit our website, SellTheMobile.com, search iPhone X, compare the prices offered by the top recyclers and choose the best deal. SellTheMobile ensures its customers that they make the most money in exchange for their phones. How To Compare Prices at SellTheMobile? The Pricing mechanism of SellTheMobile is totally unbiased. Here are three simple steps to sell your iPhone X at SellTheMobile. Step 1- Open the website in your browser and type your mobile phone make and model in the search box. Select the exact specifications of your mobile phone. You will be redirected to the next page containing a list of best price quotes from different mobile phone recycling platforms. Step 2- Choose a deal that suits and clicks Sell Now button. Step 3- After clicking the Sell Now button, you will be redirected to another page where you have to provide the details such as your contact information, email etc. Enter all the required information and Complete the Sale button. By following these simple and straightforward steps you can easily sell your mobile phone through SellTheMobile. There are a lot of advantages of selling your new or damaged phones online at SellTheMobile including iPhones. Some of the major benefits are as follows. 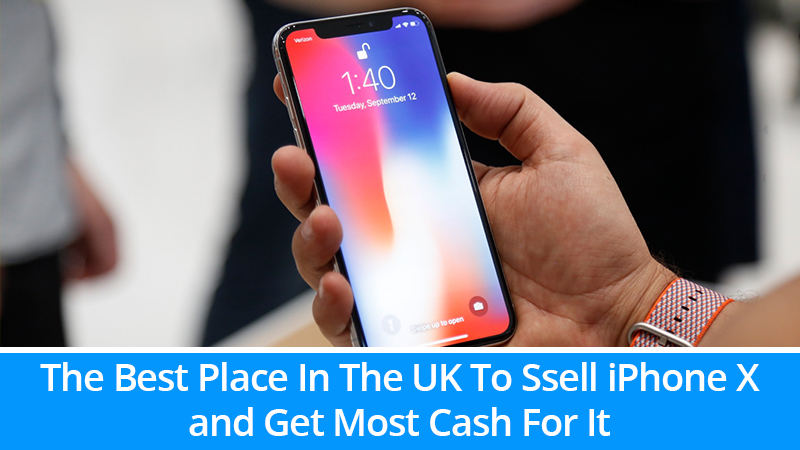 - You make a good amount of money in return by selling your iPhone X at SellTheMobile. - By selling your old iPhone, you will be able to declutter your house. - You cut off the price of your new handset so that you can use that earning to purchase it. - By recycling your phone through SellTheMobile, you participate in maintaining and protecting the environment.